Up up and away! 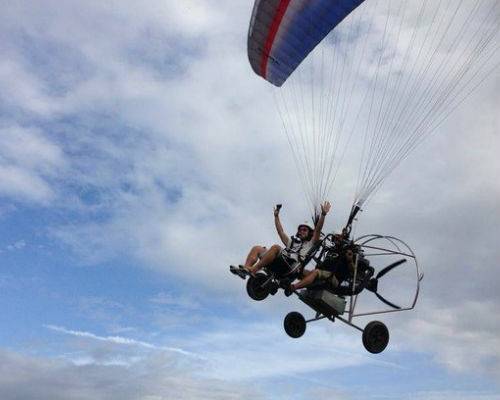 Feel the freedom of soaring in the sky and enjoy the aerial views in powered paragliders. 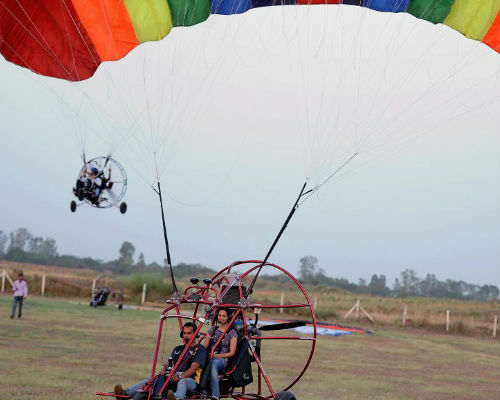 Reserve a slot and head out towards Gurgaon Sohna Road for this fun experience. The experience starts with you and your special one arriving at a farm near Westin Sohna Resort, Gurgaon. From there you are taken to the take-off zone, and it’s time to get cracking! 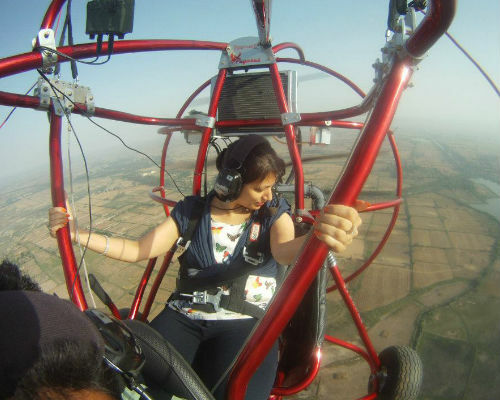 You meet your pilot and get to know about his passions and memorable flights. As you plan your flight with your captain and get your safety briefing the anticipation and anxiety start building-up! 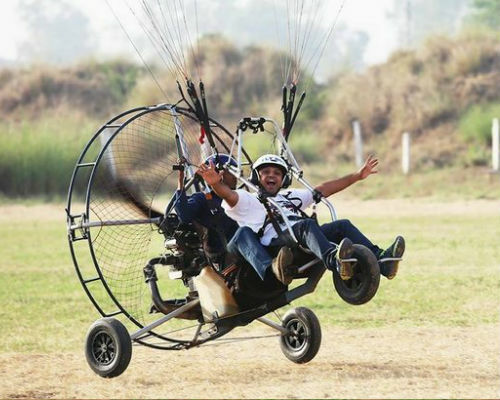 When it is time, with the thrill of adrenaline rush you and your folks are off to skies in different paramotors, not too far from one another. Depending on the time of the day you take the flight, you could be up for some great sunset, sunrise experience. 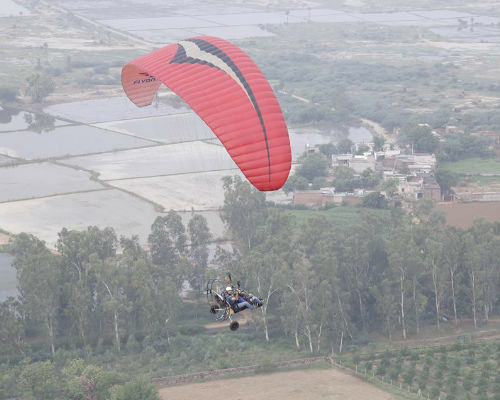 It is fun to experience the freedom and aerial view of the city and farms. After your flight, how about some champagne with friends? Food and beer can also be arranged for nice friends away day. If you want to surprize your friend for his bachelor’s / hen’s party or birthday - try onground messages like “don’t get married”, “we love you”, “One more year wiser”. Also, at the farm (your venue) you can play cricket or badminton - some cricket and badminton gear and courts are available at the farm.